3 New flavors for all of you chocolate lovers at Pesso’s! Chocolate Covered Pretzel Creamy chocolate ice with chocolate & White chocolate covered pretzels! Nutella Creamy Ice, Need I say more? Fudge Brownie Creamy chocolate fudge ice with Brownie chunks & Dark chocolate chunks! Our Gelato season begins tomorrow, Wednesday March 9th! Red Velvet Creamy Ice and Mocha Fudge Almond Ice Cream! Come in and ask for a taste! The great Pumpkin Pie Ice Cream is back! 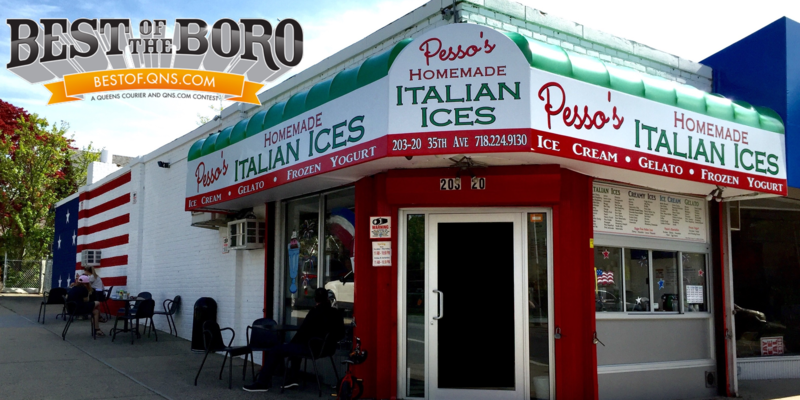 The official start of the Summer is quickly approaching and here at Pesso’s we are getting ready and excited! To prepare for this we have created a new batch of amazing flavors for this season. We are always open to new flavor ideas. Look for our great coupons as part our add in the Queens Courier! Vanilla Cream Cream Ice – A wonderful rich and creamy Vanilla Cream Ice that tastes just like Ice Cream. Non Dairy of course! Lemon / Lime and Strawberry Daiquiri are back and every one is So Happy! NEW Cotton Candy Ice Cream, A must try!